Village Road, Denham Village, Buckinghamshire, UB9 5BE. Why not take this opportunity to explore the countryside or take a trip into London to see a show? Denham to Marlybone only a twenty five min ride. The Falcon Inn has free Wifi throughout. 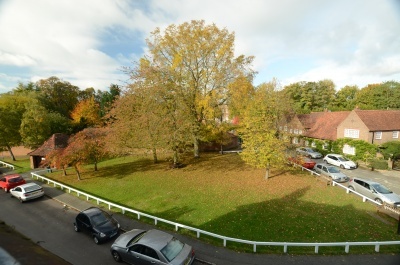 Is so named because of the superb views of Denham Place which was built by Edwin Lytens & once owned by Harry Salzman, producer of James Bond films. It is now nearing complete restoration undertaken by the current owners. 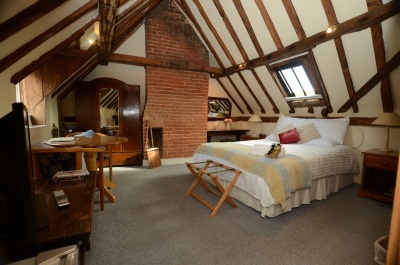 This room also benefits from having the original oak beams exposed thus giving it old world charm. 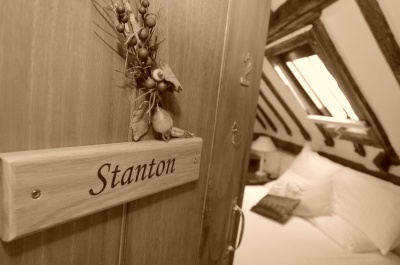 All Rooms are en suite and we provide towels,shampoo/conditioner and shower gel. 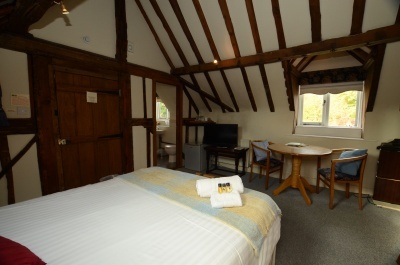 Rooms include tea/coffee making facilities, fridge, trouser press, hairdryer, alarm clock, television, wi-fi facilities.Complementary bottled water, fruit juices & cereals are provided. A full English breakfast priced at £7.00 is available on request.